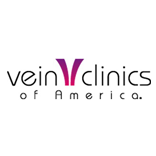 Vein Clinics of America (VCA), established in 1981, is one of the country’s largest groups of physicians dedicated solely to researching and treating varicose veins. Patients with spider veins and varicose vein patients trust VCA in Northland to assess their condition and perform non-surgical vein removal procedures that produce safe, effective results. Non-surgical procedures include: Sclerotherapy and Endovenous Laser Treatment (EVLT). Both EVLT and Sclerotherapy are minimally invasive treatments with no hospitalization, no anesthesia and minimal down time. Unlike surgical stripping, both procedures can be performed in the comfort of our Northland clinic. Most patients are back to their normal routine the same day. After treatment, you’ll not only notice an aesthetic improvement, you’ll notice the pain and discomfort in your legs has diminished. Experience the VCA difference for yourself. Call today and schedule your appointment at VCA of Northland!